Here’s a chance for your words to be remembered underfoot. 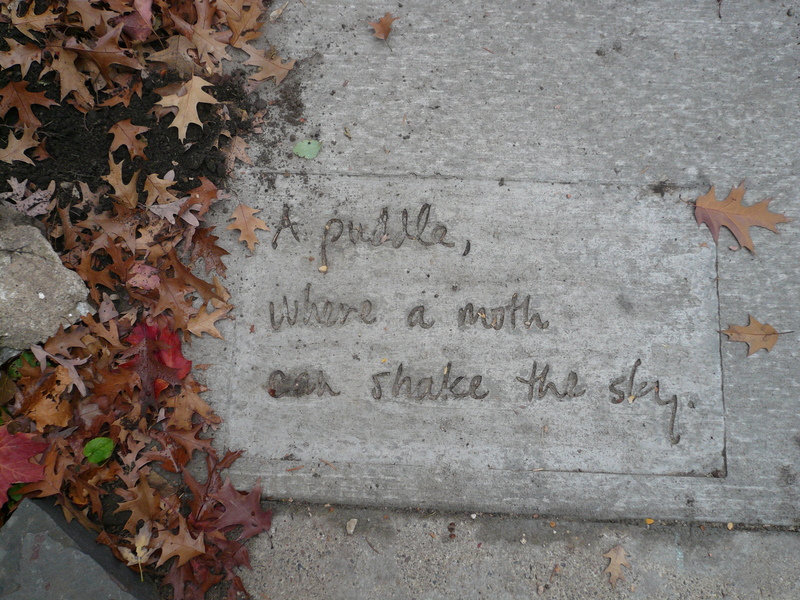 March 15 is the deadline for submitting your short poem to Saint Paul’s Sidewalk Poetry project. Since 2008, Marcus Young and his colleagues at Public Art Saint Paul and the City of Saint Paul have been creating an evolving book of poems under our feet, with our sidewalks as the pages. If you live in Saint Paul, you can be part of it.